Quadrant Engineering Plastic Products and SURFACEWRX simplify complex applications with turnkey package flow solutions for unit material handling, conveyor equipment, and parcel handling industries. Applications include; belt skirting, chute liners, bearings, belt guides, chain guides, guide rails, wear strips, dead plates, diverter bars, guide rollers, hitch plates, hopper liners, gravity flow applications, roller covers, and transfer plates. 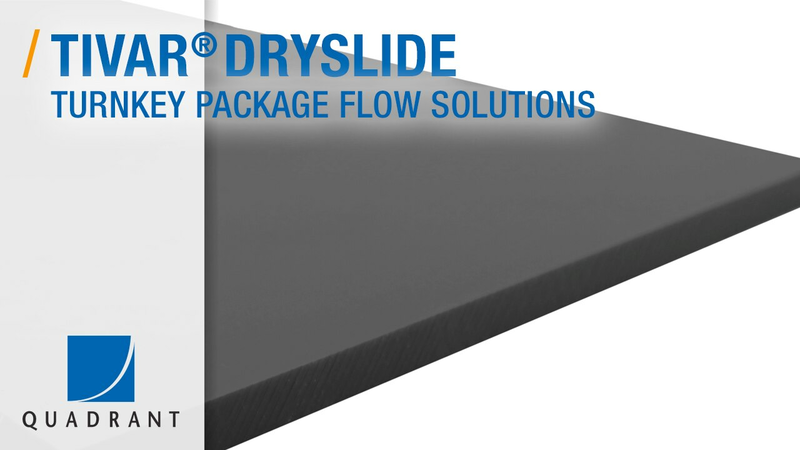 TIVAR Dryslide – Superior Sliding UHMW Material offering; non-stick, dry running, optimal efficiency sliding surface.